The Creepiest, Kookiest Family Is Coming Back Next Halloween! This Halloween season promises to be especially creepy, kooky, mysterious and spooky because our favorite unconventional family, the Addams, are coming back to our screens. 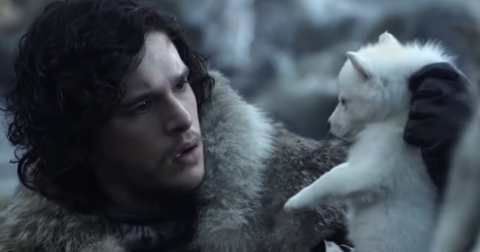 Except this year, they're coming in the form of 3D animations and the trailer looks so good, we honestly can't wait. 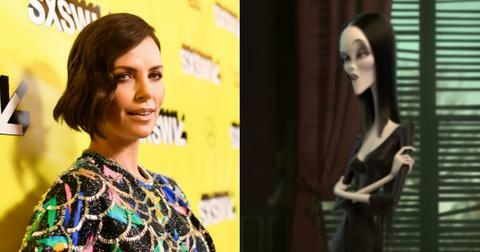 Although it's hard to say how this cast will do justice to Anjelica Huston's Morticia and Christina Ricci's Wednesday, we can't think of a better way to celebrate Halloween 2019 than with the voices of Charlize Theron and Nick Kroll, among others, animating these timeless characters. And because we're so excited for the release, we wanted to take this first chance to look at the cast of the new Addams Family before we catch the movie IRL early next October. Although we usually think of Charlize for her dramatic renditions, like her Academy Award-winning performance in Monster or for her more recent stint as Marlo on Tully, we really can't wait to see her voice a comedy for the first time. Born in South Africa, she rose to prominence in the late '90s with her role as the protector of a giant mountain gorilla in Mighty Joe Young. From the looks of the trailer, Charlize is going to give a stellar performance as Morticia. At one point, we hear her voice her confusion around balloons, and at another, we hear her tell her daughter Wednesday not to forget to "kick your father goodnight." It's hard to believe that at 22 years old, Chloë already has a CV that boasts over 60 roles. We've been fans since she first appeared in Desperate Housewives, and have loved watching her in 30 Rock, Clouds of Sils Maria, and as the eponymous title character in the 2013 Carrie remake. 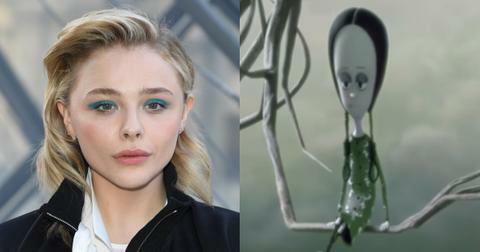 We can't wait to see Chloë lend her voice to goth icon, Wednesday, who's known for her pale demeanor, bitter affect, and braided pony tails. "How I wish something would lighten up this already tedious day," she says in the trailer. Same girl, same. Today we learned that when The Addams Family first began as a New Yorker magazine cartoon by Charles Addams, the patriarch of the family didn't have a name. In fact, the actor John Astin who played this accented dad, chose the name Gomez when developing the 1964 TV series. 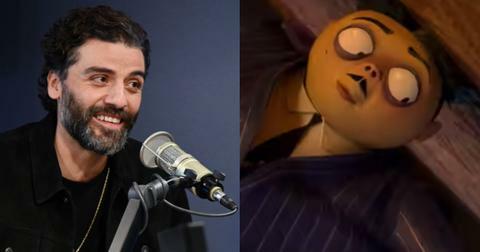 Guatemalan-born Oscar Isaac, who's previously appeared in as Nathan in Ex Machina and Abel Morales in A Most Violent Year, is putting his dramatic roles on pause to voice Gomez in the animated film. 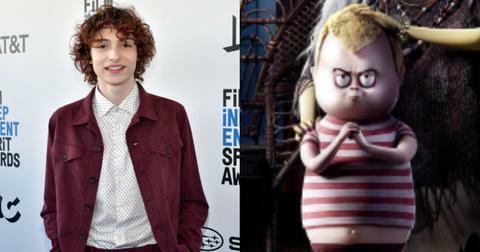 We don't hear much from Stranger Things star Finn Wolfhard in the teaser for The Addams Family, but considering Pugsley's incredible cartoon portrayal, we know we won't be disappointed by the deviant tween. "Get ready to meet Pugsley," Finn, who changed his Twitter profile picture to reflect his character, wrote on Instagram. 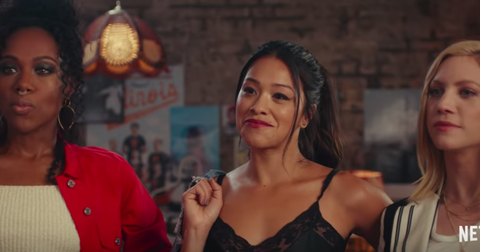 We're certainly ready to see him take Gomez's instruction to "fire in the hole" and blow up the family's house. You know, just your average Tuesday afternoon activity. 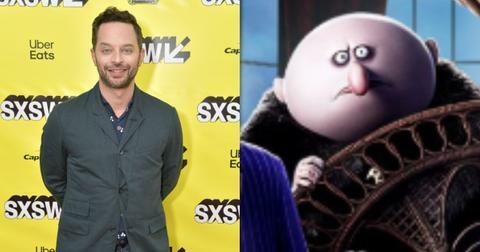 Nick Kroll is one of the funniest humans alive today and we absolutely love when he lends his voice to animations such as Big Mouth and Sausage Party, though our favorite Nick Kroll work might have to be his Oh, Hello show. We can't wait to see him voice the character of Gomez's brother, Uncle Fester, the bald barrel-shaped man with dark, sunken eyes. 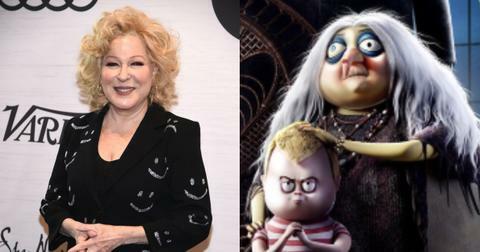 It's difficult to even think of Bette Midler without one of her many hit songs popping in our heads, so it's easy to forget that she's also an insanely capable actress who's starred in Hocus Pocus and The Stepford Wives. She even had her own TV series, Bette, which ran from 2000 to 2001. It feels almost as though the role of Grandmama will be something of a Hocus Pocus reprise for Bette, who's going to voice the character of Morticia's mother, an aged witch who concocts potions and spells, when she's not knife-throwing. With hope, we might even get to hear Grandmama sing! 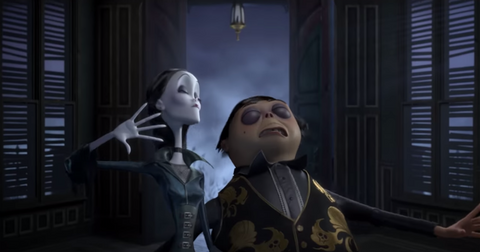 There are sadly no images of what Margaux will look like in this animated Addams Family film because her character was created specifically for this animated iteration and hasn't made any previous appearances in the comic strip, TV show, or '90s Addams Family movies. According to Entertainment Weekly, Margaux is something of the nemesis of the Addams', "a nefarious reality TV makeover queen who's described as 'consumed with a desire for absolute suburban pastel perfection'." 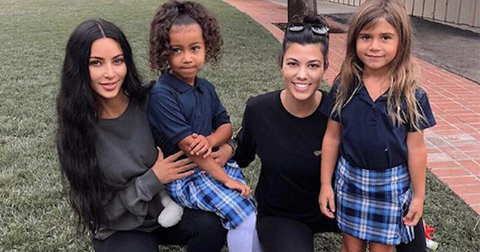 Yeah, we see why that won't fly with our favorite kooky family. We cannot wait to see Allison in the role of another villain after her outstanding performance as Tonya Harding's mom in I, Tonya.